This is a 34’x48′ modular barn with 8′ lean-to in the monitor style. 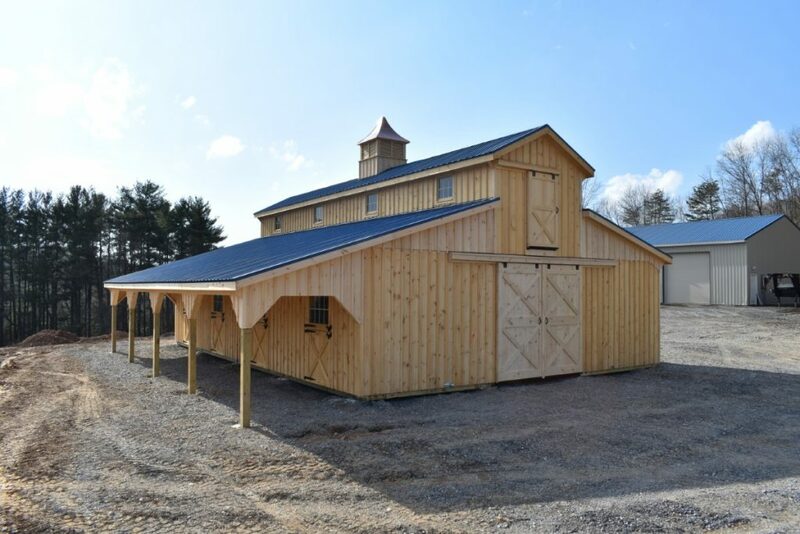 This Westminster, MD monitor barn was built with white pine board and batten siding. It has rafters and insulated blue metal roof manufactured by A.B. 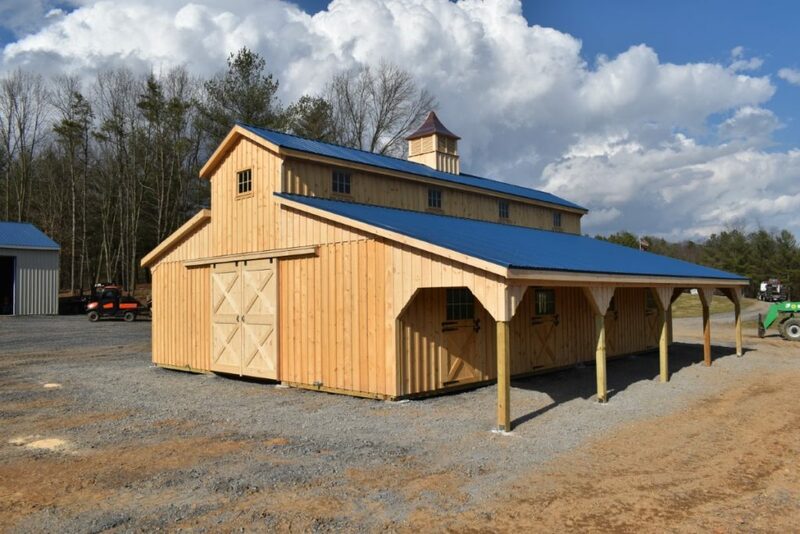 Martin Roofing Supply. The small windows are sliding wood barn sash windows manufactured by Bird-In-Hand Windows and the large window is an insulated Andersen Silverline Series double-hung window provided by Bird-In-Hand Windows. 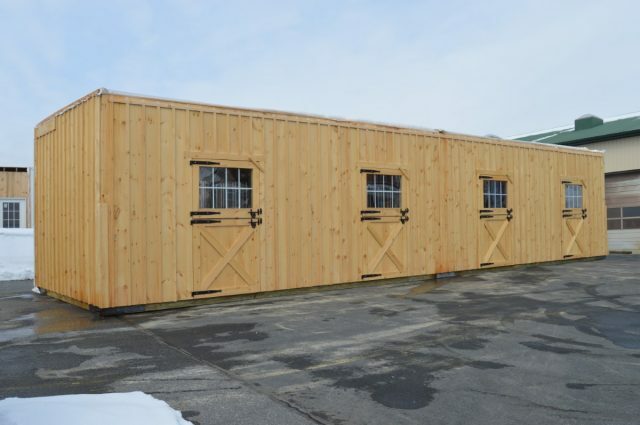 The 5’x10′ roll doors and 4’x7′ dutch doors with window are manufactured by J&N Structures. 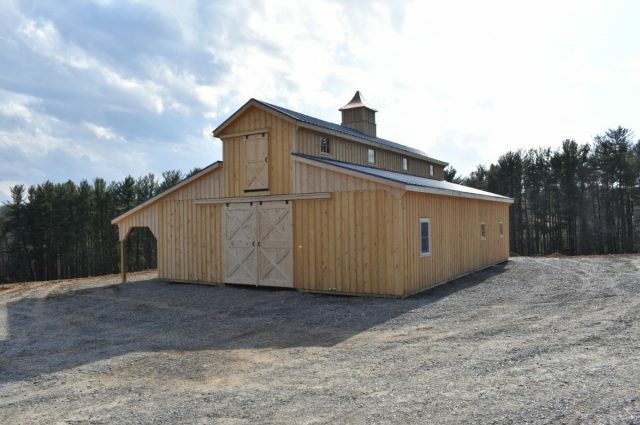 Up top is a B-48 Series cupola manufactured by Creative Cupolas. 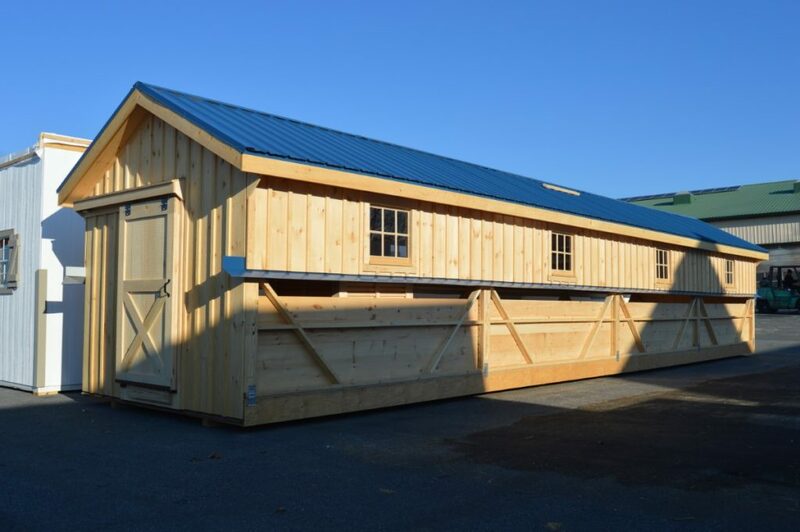 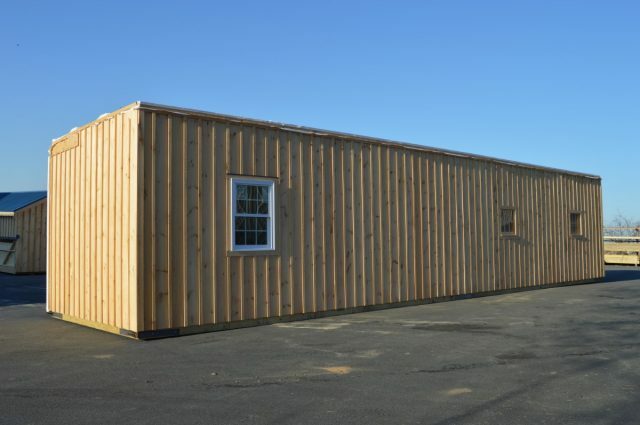 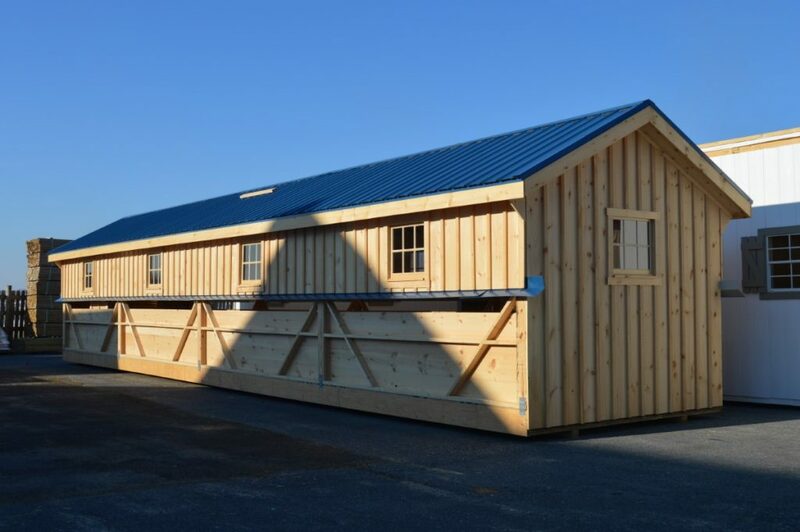 This modular barn has (6) 12’x12′ stalls and a 12’x12′ tack room and a 12’x12′ wash stall and a 10’x48′ center aisle. 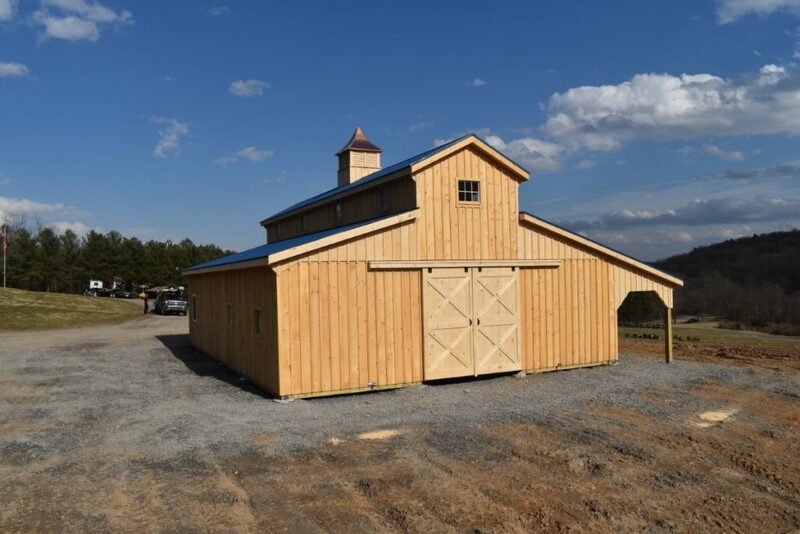 It has a loft over the center aisle accessed via electric stairs. 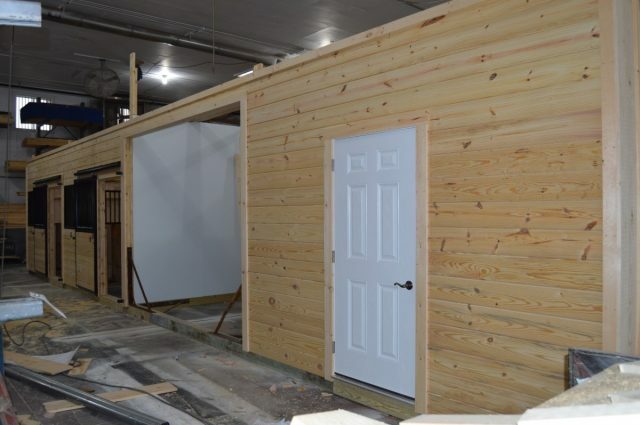 One end of the loft has a sliding loft door and the other end has a window. The stalls are lined with 4′ high oak kick boards and have a sliding 4’x7′ stall door. 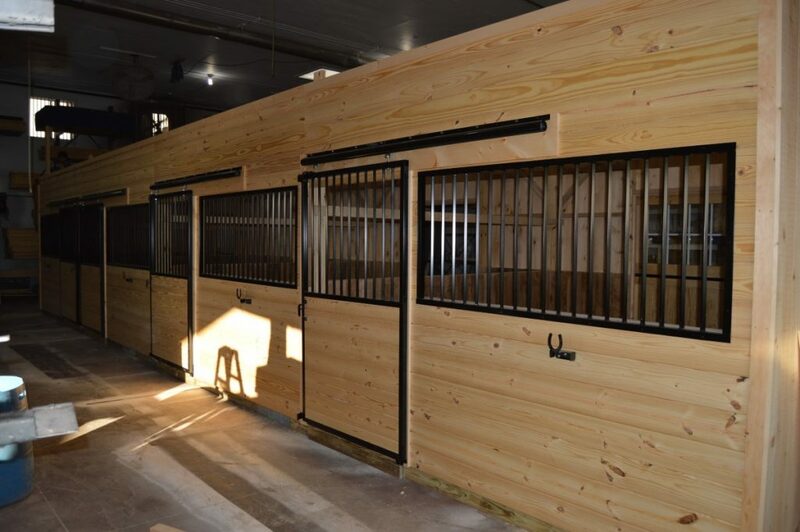 (4) of the stalls have a dutch door with window to the outside. 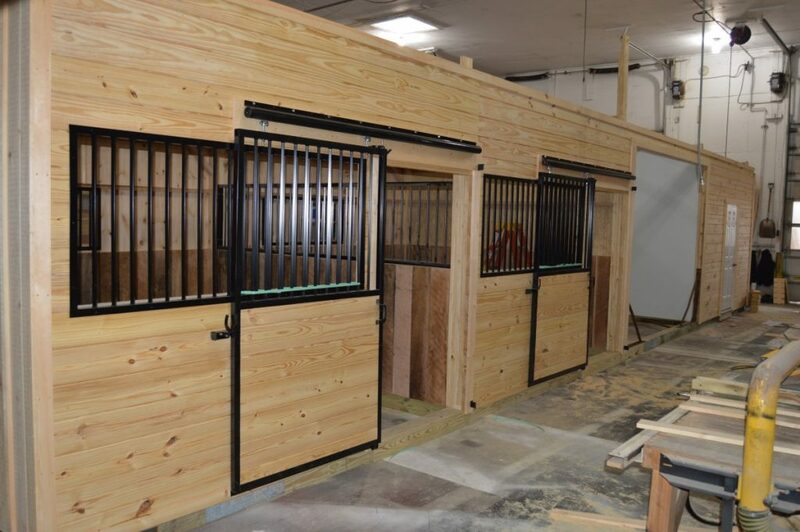 (2) of the stalls have a window. 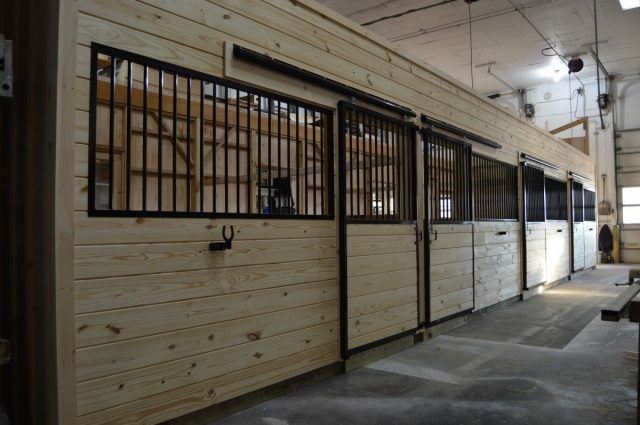 The tack room has floor and an insulated window and a insulated service door into the aisle. The wash stall is lined with white glass board on the walls. The aisle has double sliding doors at each end.